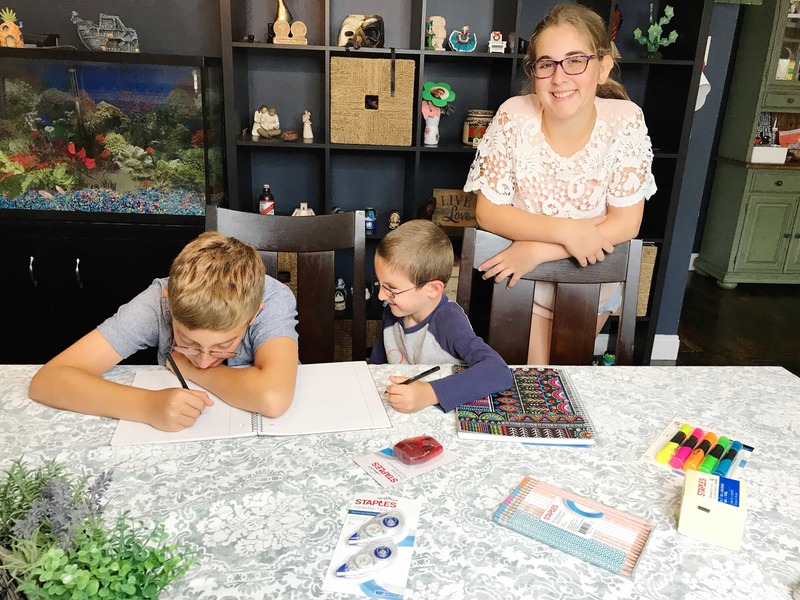 It’s back-to-school season and parents everywhere are scrambling to figure out what they need to get their children ready for a new season of classwork and after-school activities. I am someone that likes to be ahead of the curve (see what I did there) and completely organized – well before any deadlines start to approach. But, here’s a full blown confession – just because I LIKE to be that person doesn’t mean I always maintain that level or organization. Life gets in the way! And it’s good to know places like Staples are ready for my supply list demands all year long. 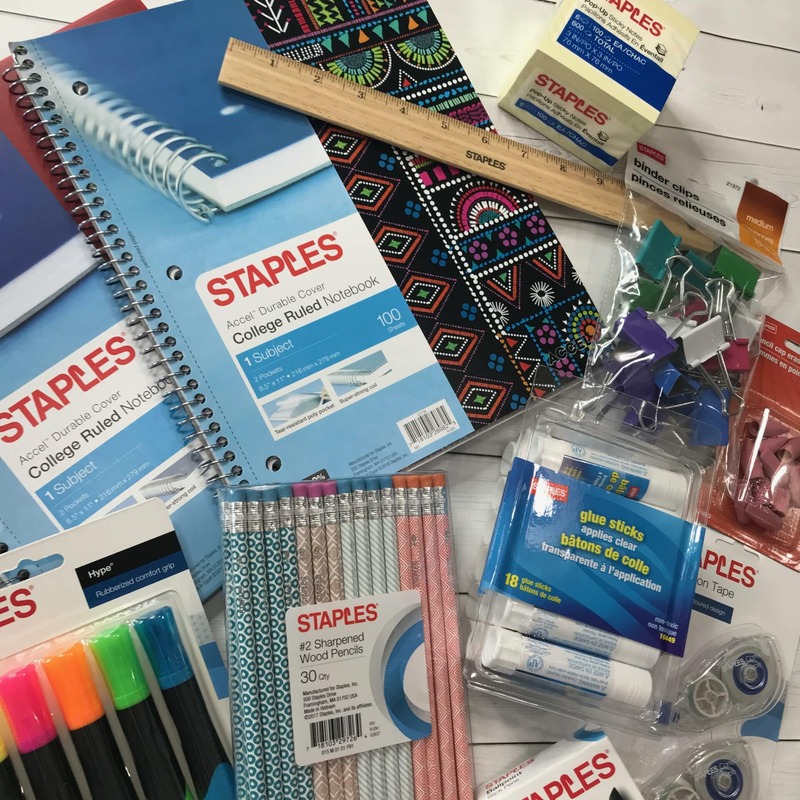 Staples is the #1 back-to-school shopping destination for school supplies and expert advice. Because let’s be honest folks, it doesn’t just end on the first day of school. We need to stay on top of classroom requests around the clock and as a mom of three who has children in three different schools this year, I need all the help I can get. 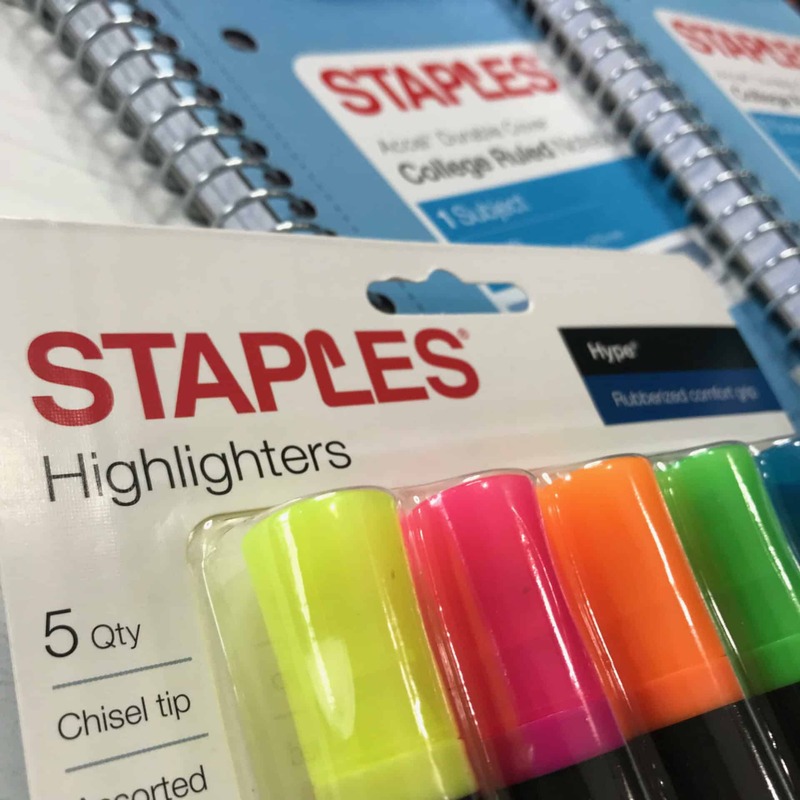 Staples is a longtime supporter of students, parents, and teachers. They offer a diverse collection of affordable back-to-school supplies recommended by the brand’s in-store experts. Need help figuring out what type of binder would work best for your child’s science project? No problem! Head on in and ask someone on hand. You will always find the help you need just waiting to chat with you and your family! Think about this. Sometimes you might need something very specific for a project that your average box store just won’t carry. School supplies – like pencils, pens, and index cards – can be found everywhere and all year long. That much we know is true. But when you are in need of specialty items – like project protector sleeves, poster boards, and oversized binders – there’s one place to go. Staples! 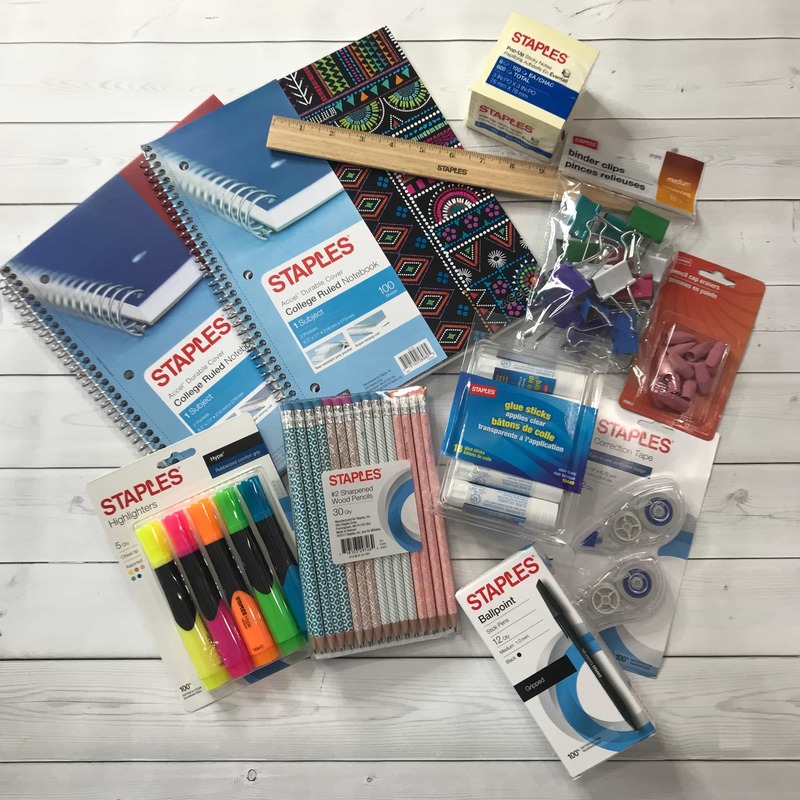 The 2018 back-to-school collection is an unrivaled assortment of national name brand and private label products at affordable price points. Staples plays a proud role in millions of families’ back-to-school rituals that kickstart the new school year’s possibility for learning, creativity, self-expression, and discovery. 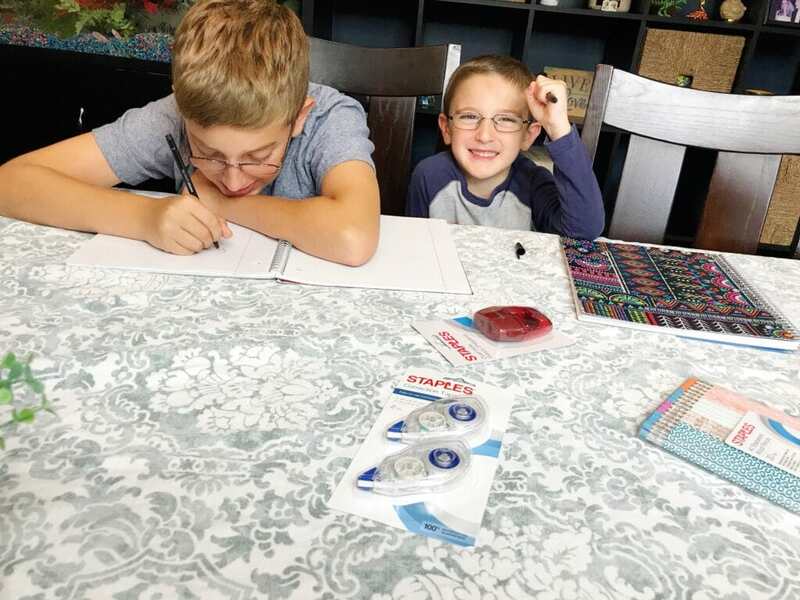 Whether your child loves to draw, paint, game, craft, design, or develop, Staples has you and your family covered. Shoppers can help make a difference in the lives of students and teachers by donating any amount to a local DonorsChoose.org classroom project both in-store and online. Don’t you just love it when companies make it easy for us to give back?! I know that I try my hardest to show my children that it’s important to give back, but sometimes struggle to find simple ways to incorporate it into my life. Whenever I see something like this happening in a store that I patronage, I do it! How are you doing with back-to-school shopping? Almost done? Haven’t thought about it yet? Are you someone that waits until the very last minute? Either way – it doesn’t matter! 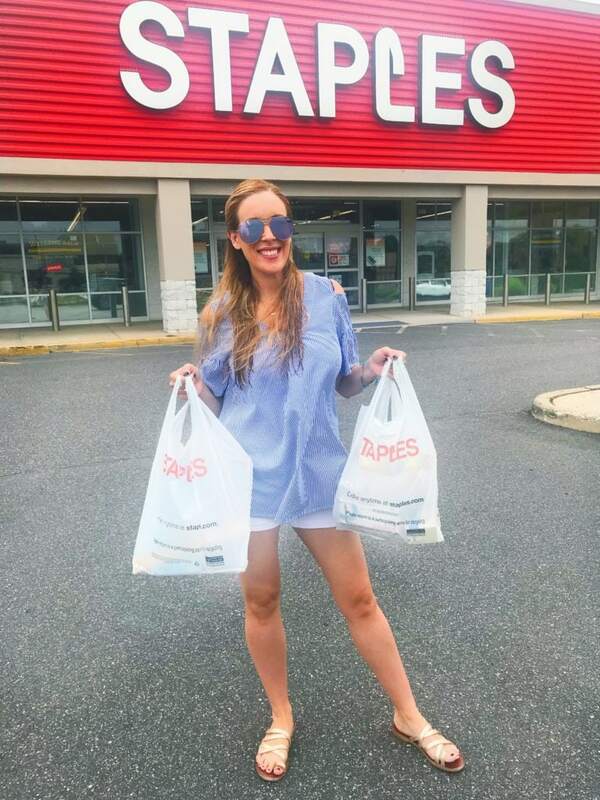 Staples will be there waiting for you!